The 5G revolution is just beginning, very slowly, but once the successor to LTE is established, it will be worth the wait. Huawei is one of the companies developing 5G and working on the breakthrough. In a conversation in Berlin, Huawei experts explain where the advantages of 5G lie and when it will finally arrive. Connectivity has always been about being speed, but that is not the approach of 5G. The new mobile communications standard has many sub-areas that can be used in different ways and so 5G, therefore, is more flexible than previous technologies. For the end consumer like us, in addition to increasing speed, lower response times, and then end of so-called latency are particularly important in order to be able to do completely different things with your smartphone on the 5G network than you could before. For Josef Eichinger, Head of 5G Wireless System Design at Huawei, 5G is comparable to the invention of the mobile phone, only in more areas. "In the past, it was only possible to make calls at home then, with a mobile phone, you could do it everywhere. 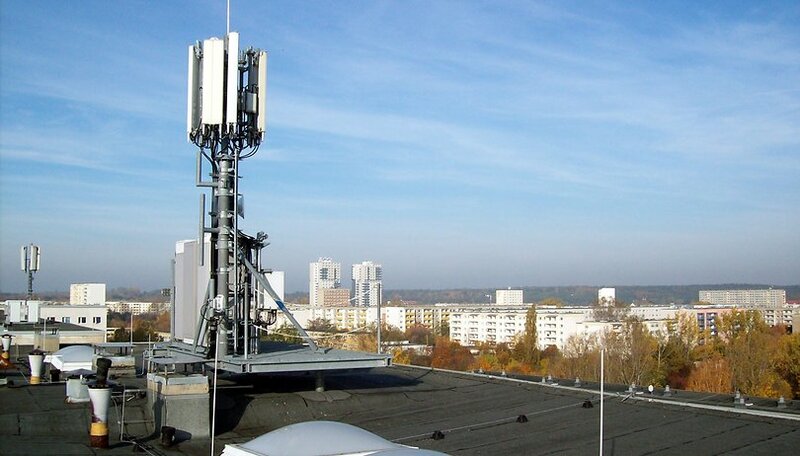 With 5G, this will also apply to many other areas," said Eichinger in Munich. Thanks to the minimal latency and high speeds, it will no longer make any difference whether you enjoy VR or AR content using WLAN at home or on the road via 5G. You’ll be able to watch high-resolution live streams or play games that look like on a PC and console no matter where you are. In the future, much of the content that will end up on smartphones and other devices will come from the cloud. It can be games, graphics programs, virtual reality content and much more. The low ping times and the speed of 5G will mean that you don't notice any difference between this and locally stored content. And if 5G is consuming too much power, you can simply use the proven 4G, if it is fast enough. The key to a real revolution lies in the mix. But smartphone designers also have a lot to do, because 5G requires many more antennas than 4G. Chiang Feikou is responsible for this development at the Huawei Consumer Business Group, and he deplores the difficulties of having to accommodate even more hardware for network reception in our already crammed smartphones. The requirement is clear: the devices must not become noticeably thicker, heavier or more cumbersome than before. So the engineers at the manufacturers have some problems to solve. 5G is at least as important for industry as it is for the end consumer. Large companies can network smart systems, outsource robot brains to the cloud and remotely manage their fleet, which will eventually become automated. Small, local 5G networks can also be used, which only cover company premises and use frequency ranges that are specially kept free for such purposes. Hopefully, smartphone contracts with 5G won't get more expensive. Speaking of frequencies, the first high-band spectrum auctions are coming to the US in this year, with more to follow in 2019. In the UK, the auctions for the 700MHz band are expected to start in 2020. In parts of Europe, such as Germany, auctions start at the beginning of 2019. As in the past, this could ‘first come first served’ system could turn into an expensive bidding process. The expansion of the network has already begun in some major cities. The 5G antennas are rectangular, flat boxes attached to the existing radio masts. However, this will not be sufficient for the entire expansion of the network. If 5G is actually to be expanded as area-wide as 3G and LTE - and there are good reasons for this - then new locations for antennas will also have to be found. This is due to the range, which can be significantly lower than that of UMTS and LTE, as Michael Lemke of Huawei emphasized in the press conference in Berlin. It will still take many years until the successor to 5G is in place, however, the EU Commission is already collecting ideas and concepts from experts on what the next but one step in mobile communications could look like. Decisive for 6G are the needs and application scenarios that industry and providers must define and create together with customers. Mohamed Madkour, VP Global Wireless Networks Marketing & Solutions at Huawei, points out that 6G can only be designed and developed if it is clear what it will be used for. I'm sure 5G will be worth waiting for. Until then, however, the road ahead is still long, and the launch of 5G is still some time away. Although the first pilot projects will be in action in the coming year, the real thing is set to start in 2020. But the providers don't expect 5G on smartphones to play a major role for the normal consumer before 2022. That will take another four years, and that's why you don't necessarily need to worry right now if manufacturers promise you the first 5G smartphones for a lot of money. But in a few years, the 5G revolution will be here, and we will quickly find ourselves beyond the point of no return. Are you as excited about 5G as I am? Let us know in the comments. My #1 goal with 5G is to use it as a replacement for the internet access I current receive via Cox Communication (aka another Cable Company that can not deliver what they guarantee in contract)! I'm fine having to pay and obtain new smartphones + new broadband router / modem, so long as I can affordably bundle services and break free from Cox ! For me the big hope of 5g is that some of the global players will finally break the "expensive but horrible quality" that is standard service from America's three providers. There is google with their 5g zeppelins from project loon, at least three companies looking to cover the whole globe via satellites (OneWeb, StarLink, and O3b). OneWeb got FCC licensing in June and is already offering broadband service to schools, StarLink got theirs in March but I don't know if they're broadcasting yet, and O3b is owned by Boeing so they move slower but will get there. That means in the worst case scenario everyone will have a minimum of 5 providers to choose from. At least 1 on the ground and 4 in the air. As long as Loon provides comparable service and pricing to Google's Project Fi, and the others follow Google's lead AT&T and Verizon are going to bleed customers if they don't clean up their act.